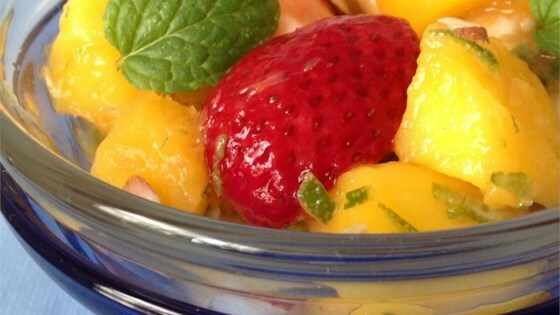 "While this fruit salad won't get you tipsy, it is so delicious you might not stop eating it! Variety of fruit in a light margarita-inspired dressing. Will keep chilled for a couple of days. Mango or jicama can be added if you don't feel stuck to the original recipe." Mix watermelon, pineapple, and strawberries in a serving bowl. Whisk tequila, agave nectar, lime zest, and lime juice together in a bowl; pour dressing over fruit. Toss to coat.